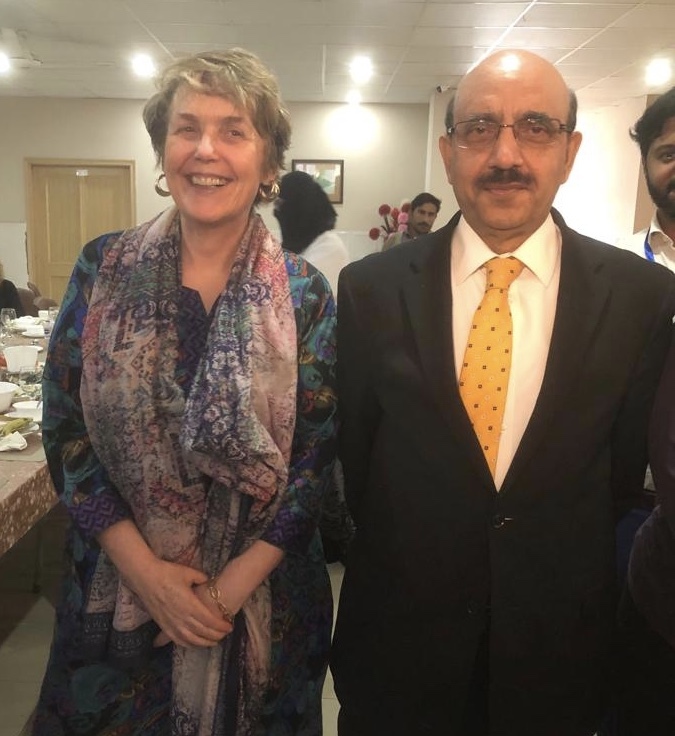 On March 9th 2019, Ariel Bruce, in her role as charity Trustee, accompanied the Overseas Plastic Surgery Appeal (OPSA) team on their March ‘Cleft Camp’ to Gujrat, Pakistan. This week long surgical camp sees teams of volunteer surgeons and staff from the UK & Ireland traveling to The Punjab Region to deliver life saving facial surgery to impoverished babies and children in the region. In Pakistan facial abnormalities, including cleft lip and palate, are not routinely fixed at birth like in many other countries. The time and effort given up by the OPSA team allows thousands of poor an underprivileged children the chance at a normal childhood. For the March Cleft Camp the OPSA team was able to do this by securing the help of a small film crew from Goldsmith’s University. With full access to the camp, the film crew were able to get some fantastic footage of the team hard at work as well as interviews with the families effected. The OPSA surgical team spend the majority of the week operating, often from sun up until sun down, to see as many patients as possible. They were however joined by a very special guest during this camp, in the form of His Excellency President Mr Masood Khan, President of Azad Kashmir. The President attended a special lunch and congratulated the OPSA team on their hard work and life changing operations. This entry was posted in News on March 18, 2019 by arielbruce. Monday 25th February 2019 saw the release of a one off special of the ‘Long Lost Family’ franchise: ‘Born Without Trace’. Ariel Bruce and her team, Julia Bell and Charlotte Bruce Lloyd, worked tirelessly for many months alongside the producers Wall to Wall Media and presenters Davina McCall and Nicky Campbell to bring this ’emotional rollercoaster of a show’ to ITV1. Using DNA detective work Ariel and her team were able to piece together the backstories of the 3 foundlings featured; Jamie, Karen and Ally, setting up Long Lost Family regular presenters Davina and Nicky to drop the emotional bombshells and had viewers all over the country reaching for the Kleenex. This episode shows how the mysteries surrounding foundlings shape entire lives. Each person expresses a need to know where they came from in order to know who they are. There is no judgment, which is touching and lovely, and they all talk about the trauma their birth mothers must have experienced. The Guardian’s Chitra Ramaswamy gave the show 4 our of 5 stars, also lifting Karen’s sentiments for a well fitting three-word review: “my heart hurts”. Presenter Nicky Campbell took to Twitter to thank the research team, as well as all the contributors. This entry was posted in News on February 26, 2019 by arielbruce. Ariel Bruce and the Long Lost Family team are proud to bring you a one off special, ‘Long Lost Family: Born Without Trace’, which will air on ITV1 on Monday 25th February at 9pm. The one hour thirty minute special will follow the stories of three ‘foundling’ babies, now adults, as they seek to learn the story of their origins. The right to origin has always been a founding cornerstone in Ariel’s search work, however, before the rise in private DNA databases like ‘AncestryDNA’ and ’23 & Me’, there were some cases that just could not be solved. These ‘foundling cases’ – babies left at hospitals & churches with no identifying information – had no paper trail or even a name with which to start a search, and therefore almost no chance of tracing their origins. Using increasingly popular DNA research to trace the origins of these foundling babies demonstrates perfectly the fascinating connections that can be made with DNA research. In doing so, Ariel and her team were able to give the show’s three foundlings Alley, Jamie and Karen, a previously unknown history and a sense of where they came from. 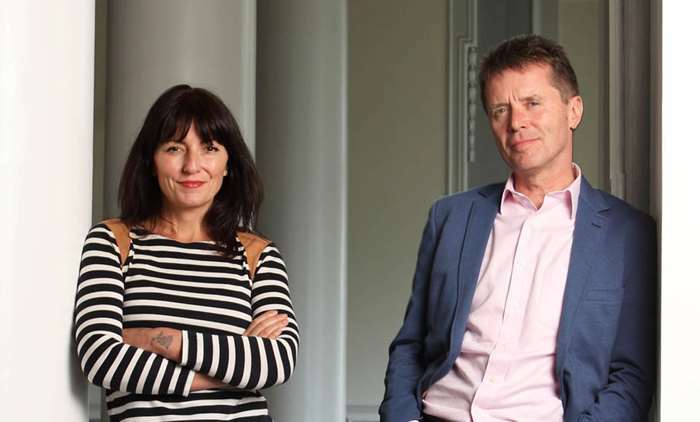 Long Lost Family presenters Davina McCall and Nicky Campbell return to present, with appearances from Ariel herself as well as DNA expert and colleague Julia Bell. Tune into ITV1 for ‘Long Lost Family Special: Born Without Trace’ on Monday 25th February at 9pm. You can read the full ITV Press Release by clicking here – www.itv.com. This entry was posted in News on February 20, 2019 by arielbruce. DNA Testing On Corrie Cast Equal Great TV! Last night (Weds 5th Sept) ITV1 aired a one off special programme in which members of the Coronation Street cast explored their histories through the means of DNA research. Following on from the huge success of ‘Long Lost Family’ we were treated to the actors submitting their DNA to an increasingly popular DNA testing site, with some very interesting results. Radio Times called the show “…a mash-up of Who Do You Think You Are? and Long Lost Family with a Corrie twist. Think of it as Who the ’Eck Do You Think You’ve Lost?” You can watch the episode on ITV Hub – Click Here. Ariel Bruce and her team regularly use DNA to trace family members, investigate DNA links and to contact possible relatives. You can expect DNA testing to feature much more in the national conscience in the next few years. Following in the footsteps of the Corrie stars, potential DNA testers can submit a saliva sample to any of the DNA testing sites by post and then create an online account to access their results. On the website you can see your DNA matches, build a family tree and contact potential relatives. It’s amazing what DNA investigation can unearth, as we found out during the show, as Corrie stars & long term friends Sally Ann Matthews & Amanda Barrie turned out to be cousins! Cast member Liam Bairstow also found out that he was related to King Edward I of England. With #CoronationStreetDNA trending around the country last night, it is clear the nation was enthralled by the programme. Many took to Twitter to express their joy at during the shoe, with lots having more questions about the DNA aspect. Is the UK just waking up to the possibilities unlocked by DNA testing? Either way the use of DNA to create tense and emotional viewing is just beginning. With a new series of Long Lost Family in the pipeline, and other DNA related programmes too, you can certainly expect more. This entry was posted in News on September 6, 2018 by arielbruce.